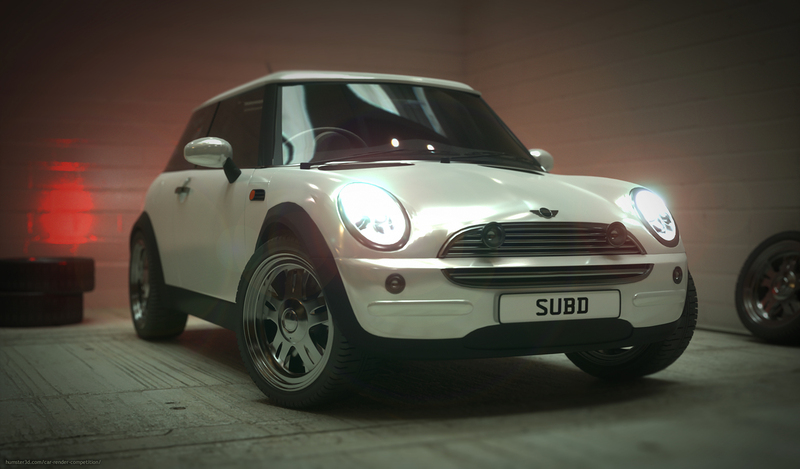 My name is Simon Smalley, freelance 3d artist and art director for a UK games developer. For this challenge I wanted to create something realistic, simple and something which used a limited colour palette. 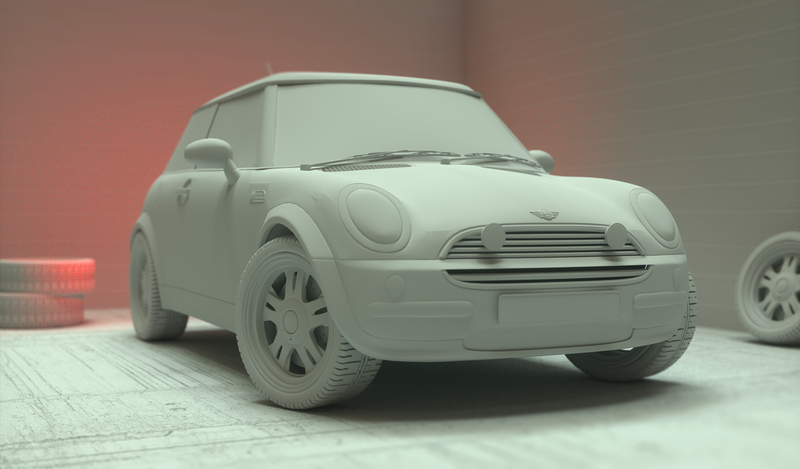 In the most part the image is almost monochome and so I used the red brake lights to show of the shape of the car against the white walls, and to add some atmostphere.